Salesforce careers are all about offering programmatic access to information in organizations-the tools that the administrator or developer uses are called Salesforce API. These application programming interfaces, API, are secured to protect the information of the organization against intruders. If you would like to build your career in this industry, you need to understand how to use API in client based projects. Salesforce developers use this software to access information. The best way to do this is allowing this API to integrate with information of the organization. To build your reputation in this career, you need to understand the applications well suited for this salesforce solution. If the organization includes mobile apps and social applications, this API is recommendable. It is also great for applications that are browser based. Another common REST API is the chatter REST API. 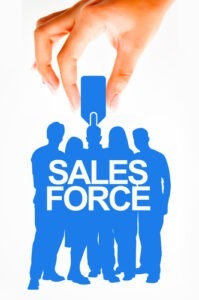 Salesforce developers use this API for chatter feeds and data that is commonly found in groups, followers in social media and other networks as well as files that are social in nature. This API can also integrate with third party website applications and intranet sites. Mobile apps are also well suited to use this API. Chatter REST API is also a great solution for processing photos. REST API offers simple and convenient web services. This tool is excellent for web projects as well. Organizations usually store a lot of data that needs deleting when it is no longer needed. When this is the case, the BULK API is necessary. As a salesforce developer working in a client project, you may also have many records that you need to delete or load. This API will come in handy during this time. You can also use this API to update or insert large records in batches. Its design enables data processing from several thousands to millions. Although it can still be used to process less data, it is less practical for this task. A salesforce developer needs to build tools for different applications. This adds functionality to other existing tools as well. This salesforce solution is great for developing tools that are specific in nature and needed for a specific service. Once you have mastered how to use these salesforce API and others, you can always benefit from learning from other people. There are different user groups dedicated to learning and developing these API. Take advantage of these online communities and network with other salesforce developers. Salesforce careers are all about learning on a daily basis. The community of salesforce developers allows you to learn different functionalities. Practice always makes perfect. Take advantage of these opportunities and be ready to be a force to reckon with. Author Bio: Jack is a professional content writer. He loves to write articles on Career, education, jobs etc. In his free time, he spent his time in reading good magazines, Books, novels, etc.